Our Family Serving your Family Since 1958. Pac Heights Family Seeks Jack (or Jill)-of-all-trades! This busy family of four is looking for someone to chip in with household duties. Both parents are CEOs and need extra help throughout the week. 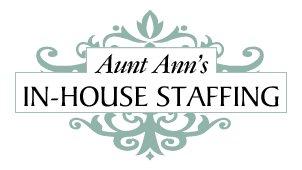 They have a full-time nanny and weekly cleaner, but are eager to have a smart, capable self-starter that can follow direction and jump in wherever needed (organizing, running an errand, assisting parents with occasional childcare, etc.). Ideally this person is available daily or every other day for a handful of hours. The family prefers someone who can travel with the family occasionally. If this person is a great fit, the family is open to discussing a full-time role with more responsibilities. -Running errands: To dry cleaning, post office, goodwill, etc. If YES, what type of DOG care? If YES, what type of CAT care? What Cooking will you do in a home? What cuisines will you prepare? What related duties will you do to meals? What tasks will you do? What is your driving history? If YES, please describe your work history below. How old were the children when you started? How did you find this job?